Margaret Atwood is a brilliant thinker and prolific writer of over fifty books. For the past few weeks, we have featured work by Atwood over in our fiction area, and also books by authors she has praised in the past. 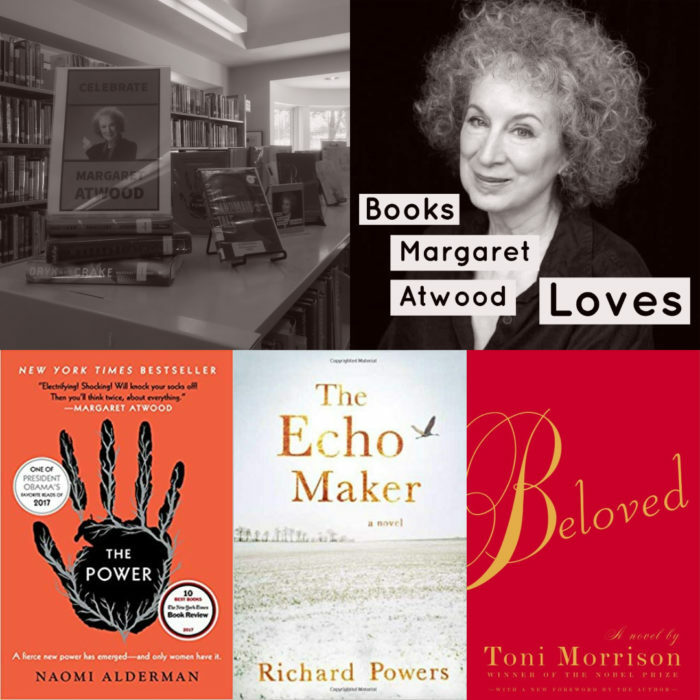 Margaret Atwood is known to be evasive about what books are her favorites, so we have cobbled the list from a variety of internet lists and her endorsements from her always engaging twitter account. Whether you have followed her work for years or else have just gotten to know her through the television adaptation of her 1986 dystopian novel The Handmaid’s Tale, there’s lots of entry points to celebrate Margaret Atwood. Enjoy!